Also this year we will participate in HOMI MATERIALS CULTURE “an innovative project that exposes a new vision of the material, its culture, its multiple functionalities and possible applications “. Many of our samples with unique and avant-garde glass processing have been selected by POLI.design to “tell the trends related to finishes of the Interior Design sector”. 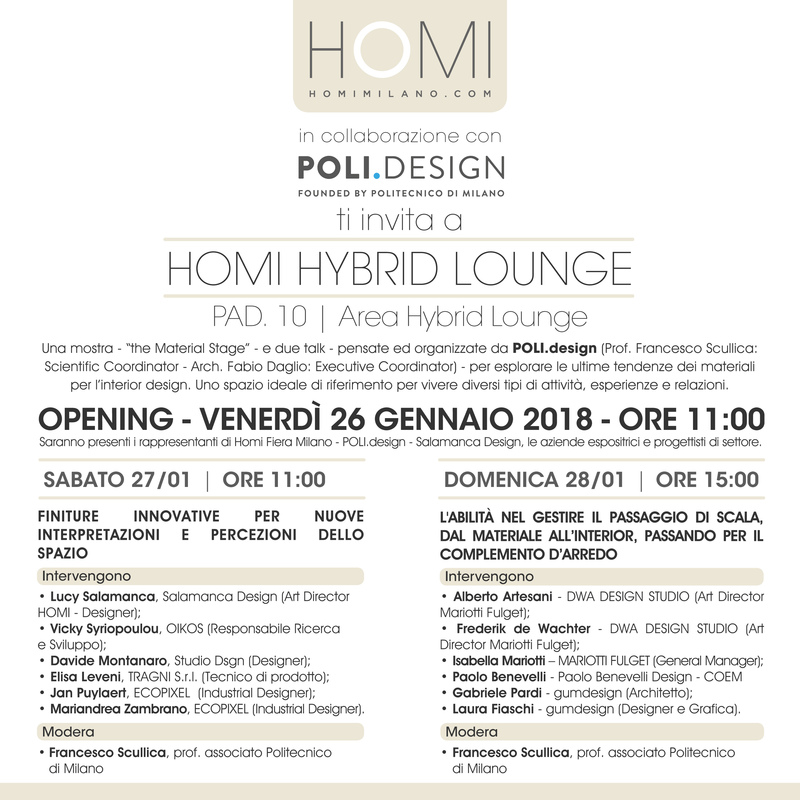 We are waiting for you at Homi Milano PAD.10 A30-C37 from 26th to 29th January!